This past June, Bob and Cindy joined a team of 13 other Lifewater advocates in a climb for clean water. Six years ago, if you had asked Bob and Cindy Zahner where they would be celebrating Cindy’s 59th birthday, their answer definitely would not have been The Roof of Africa—Mount Kilimanjaro. “It’s hard to describe all the feelings of joy!” said Cindy as she described summiting Mount Kilimanjaro, the highest mountain in Africa, on June 22nd—her 59th birthday. Bob and Cindy have an amazing story. They met and were married in 2010 after both losing their spouse to cancer. Bob introduced Cindy to Lifewater and both agreed that they wanted to serve together through the ministry. They were trained and traveled to Ethiopia in 2011 and 2014 as certified trainers to help facilitate Lifewater hygiene trainings. Their love for Ethiopia and its people grew. When Bob and Cindy committed to climbing Mount Kilimanjaro and funding a well for an Ethiopian community, they decided to return to Ethiopia after the climb and see the impact of Lifewater’s work in the communities they helped serve. 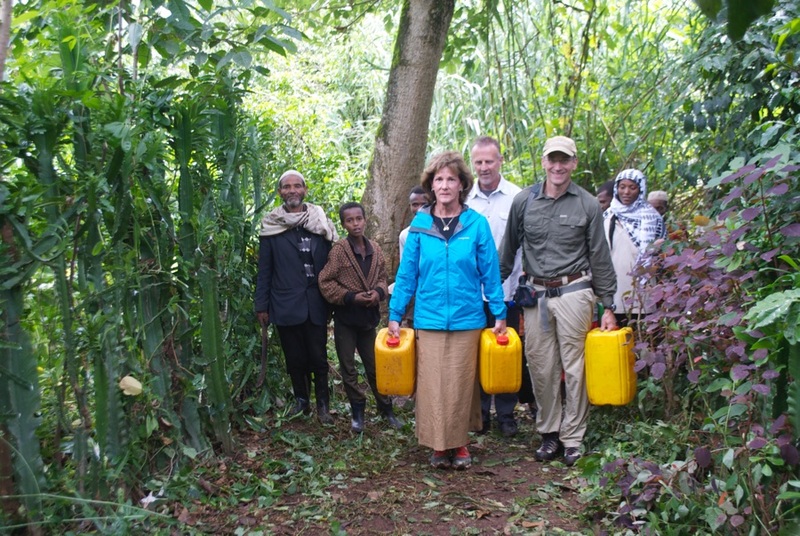 Bob (second row, in white) and Cindy (front row, in blue) participate in a water walk in a community in West Arsi, Ethiopia. Bob and Cindy’s passion and service demonstrates the love of Christ and is truly inspiring. Together they have impacted thousands through living and giving generously.